The Band‘s famous concert/concert film The Last Waltz was their last show to feature the original fiver-member lineup, and the acclaimed film was brought to life by director Martin Scorsese. To celebrate its 40th anniversary, there will be a s a 54-track, four-disc Deluxe Edition box set which will include rehearsals, outtakes and a Blu-Ray of The Last Waltz film. There will also be a limited-to-2500-copies Collector’s Edition that includes a 300-page book that includes the shooting script. Or there’s also the six-vinyl-disc set that comes in a lovely lift-top-box. The sets are out November 11 via Rhino and tracklist for the set, plus a promotional interview with Robbie Robertson, is below. Meanwhile a whole bunch of cool artists are coming together for a Last Waltz tribute at Port Chester’s Capitol Theatre on November 23, which is just two days shy of the concert’s actual 40th anniversary. 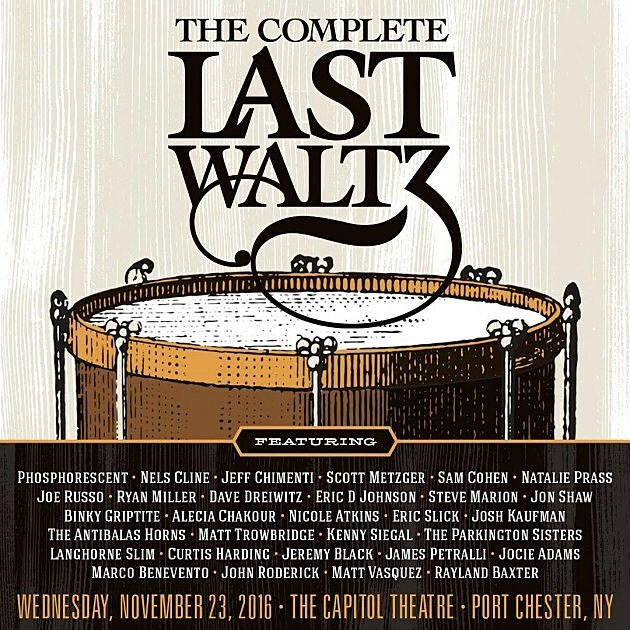 The lineup for what they’re calling “The Complete Last Waltz” includes Phosphorescent, Nels Cline, Natalie Prass and members of Fruit Bats, Cass McCombs, The Dap Kings, Delicate Steve and more. Tickets for that are on sale now and the full lineup for the tribute is listed below.